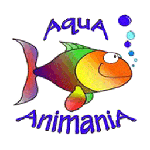 AquA AnimaniA is your #1 local source in Windsor, Essex County and Beyond, for aquarium accessories for freshwater, tropical, saltwater and reef aquariums of all shapes and sizes! Aquarium backgrounds, gravel, ornaments and artificial aquarium plants are not just fun to look at, an empty tank can cause stress. Fish like to know they have some place to hide if anything should chase or threaten them. Aquarium ornaments, artificial plants and driftwood can also be used to hide in-tank equipment or airstones. They are inexpensive and low maintenance and we offer hundreds of choices for a huge variety of decorating options to reflect your tastes and personality. Here at AquA AnimaniA we carry over 150 different types and styles of aquarium gravel, aquarium sand and substrates to achieve the visual effect you want while providing a comforting habitat your fish crave. We even have substrates designed for specific aquarium needs, such as reef sands, mixes for live plants, special breed mixes, crushed coral and coastal mud. Find the exact colors and textures of aquarium gravels and substrates you need to complete the aquarium of your dreams! Scroll down to see all of our substrates. We provide friendly, expert advise and tips plus carry a full line of aquariums, aquarium kits, aquarium filters, aquarium heaters, aquarium pumps, aquarium supplies, aquarium tanks! We can also special order unique items and other products from our vast network of national and international partners and suppliers. Aquarium backgrounds create instant visual appeal, and create the illusion of more space in a smaller tank. They also hide equipment behind the tank. They look great behind a curtain of shimmering bubbles or with contrasting decorations. Fish tank backgrounds come in different sizes and many exciting designs. Many are self-adhesive, otherwise, simply cut the aquarium background to the proper size and attach with background adhesive. We carry an extensive selection of beautifully detailed, non-toxic aquarium ornaments to add character and comfort to your tank. Fish will enjoy, and be relieved, to have structures to swim around, hide inside or hang out under, and you will love our great selection of options. Create a sense of whimsy with action (airstone-driven) ornaments and themed ornaments, or take a natural approach with fish tank ornaments like rocks, driftwood, corals, and florals. Plastic aquarium plants and silk aquarium plants offer realistic, attractive aquascaping without the hassle of keeping live plants, which fish can eat or uproot. Artificial aquarium plants can be used to hide air stones or other in-tank equipment; simply secure them in place with your gravel, and easily remove them for cleaning when they get dirty. Create color themes or a natural look, arrange with other ornaments, every fish tank should have at least one of these beauties. Genuine aquarium driftwood ornaments vary in shape and color. Genuine driftwood is a beautiful, natural addition to a freshwater aquarium, and some fish, like plecos, even enjoy snacking on it. Driftwood may need to be cured to remove acidic tannins, boil for 1-2 hours, or soak in dechlorinated water until it becomes waterlogged, changing water when needed. If you have a rainforest “black water” aquarium, you want some tannins, soak driftwood for a short period and give it a scrub with a clean brush before adding to your tank. Avoid using driftwood made for reptile tanks, which may contain chemicals harmful for fish. Also avoid real driftwood you find yourself, it’s not seasoned and could rot in your tank. Spice up your tank with some aquarium decorations! A great way to give your aquarium some personality while providing your fish with the shelter they need to feel safe, these fish tank decorations are non-toxic and reduce fish stress, you can’t lose! We have all the classic decor like shipwrecks and air stone powered action aquarium decorations, as well as some eye-catching new approaches like Asian architecture. LED Underwater Spotlights illuminate your aquarium with amazing lighting effects. Aquarium gravel is more than just an easy way to achieve a unique look in your tank – it anchors your ornaments and plants, hides waste and debris, keeps bottom sucking fish happy, and even provides some biological filtration. Some species of fish prefer dark or light colors and may attempt to “blend in” with certain shades of gravel. (We carry decorative aquarium rocks too.) Check out our gravel vacuums for easy cleaning! Aquarium sand is the substrate you want if you keep soft bellied fish like sharks and sting rays, look for soft, fine sands. If you have sand sifters, look for our live sands, which contain bacteria and microorganisms found in your fishes’ natural environment. Live sand can be used alone or mixed 50/50 with inert sand. If you want to maintain your pH & hardness or have a freshwater tank, inert sands will not disrupt your water conditions. We have an assortment of colors and grain sizes of premium aquarium sand and live sand, reef sand for marine reef aquariums, and cichlid sands that recreate rift lake mineral content. Aquarium gems make a delightful accent in a fish bowl or small goldfish or betta tank. Durable and brightly colored, aquarium gems & gels please the eye, hide waste and debris at the bottom of your tank, and give you something to anchor your plants and ornaments. No fish bowl is complete without these sparkling little beauties! After adequate lighting, the first thing you need for your planted aquarium is a good aquarium plant substrate: a nourishing, fish-safe planting medium to establish your aquatic plants firmly in your tank. Most plants won’t grow in normal sand or gravel, but we have a variety of quality aquarium plant substrates to meet your needs. These include substrates you can layer over existing gravel in an established tank, or all-purpose aquarium planting substrates. Trust AquA AnimaniA for the highest quality and healthiest live aquarium plants, saltwater marine fish and freshwater tropical fish species in the industry. We also stock a wide variety of healthy and nutritious fish foods and live foods along with an endless selection of fish supplies. AquA AnimaniA also carries thousands of products for outdoor ponds along with various species of healthy pond fish and pets plus countless pet supplies and a whole lot more!